How to Help Eliminate Low Back Pain – Your all in one guide to understanding lower back pain and preventing a relapse. How to Help Eliminate Low Back PainYour all in one guide to understanding lower back pain and preventing a relapse. Do you have low back pain but are unsure how you could help yourself? Do you struggle to put your shoes and socks on? Has your back got worse over time? If you answered ‘yes’ to any of these questions, then this is the book for you. This book will empower you to: Understand back pain, both from a physical and mental point of view. Recognise and avoid the everyday activities that aggravate your back. Use different products and try different exercises to help your low back. Know how and when to seek further advice. Click the link below to buy the book today. The book is also available on Amazon . 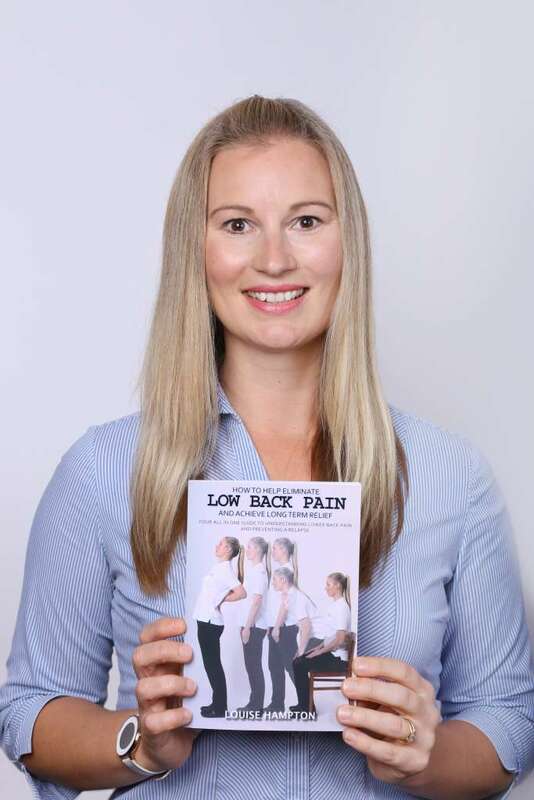 ”Chiropractor Louise Hampton has written a perfect book for chiropractors to have in their clinics for those that struggle with back pain. It is very informative yet easy to read and the recommended postural and exercises are brilliant. Tone Tellefsen Hughes DC, BSC, FRCC (paeds) Chiropractor and Owner of Luck’s Yard Clinic. Louise Hampton is a Chiropractor and the founder of Attend2Health in Buntingford, Herts. Over the past decade, she has helped hundreds of people overcome their back pain. Copyright © 2018 Louise Hampton. All rights reserved.